Harvard Alumni Entrepreneurs-Chicago is thrilled to announce a joint Happy Hour with the Princeton, Yale, and Stanford Clubs of Chicago on August 16th at Tapster, the first fully self-serve bar in Chicago. 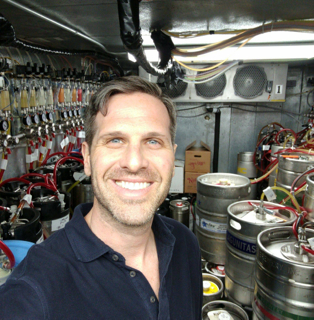 Roman Maliszewski '00, Tapster founder and Princeton alum, will share his journey into the self-pour revolution, and highlight lessons about disruption and innovation in the brewery business. 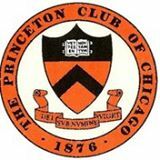 Join NOW to receive member priority reservation for PCC events, member pricing, and to support Princeton events and service opportunities. Membership starts at only $25/year. Class of 2018 is FREE, but you must join! Roman Maliszewski is the co-founder and CEO of Tapster and the Tapster Franchise. Roman grew up in the western suburbs of Chicago and then graduated from Princeton in 2000 with a BA in American History. After graduation he went to San Francisco, where he worked at the first all-digital advertising agency. Roman remained in digital advertising, on both the buy-side and the sell-side, for 13 years - 10 of which were in San Francisco. In 2014 Roman decided to leave the digital advertising world and dedicate a full year of his life to traveling, which took him all through South America, Europe, Africa, and a road trip across the entire United States. On the road trip Roman realized his dream of opening a unique and different type of bar/restaurant experience. From there he worked at PourMyBeer, the leading self-pour drinks company, and has since opened his own bar Tapster, which has a second location opening in Sept 2018. Tapster will be franchising as well.